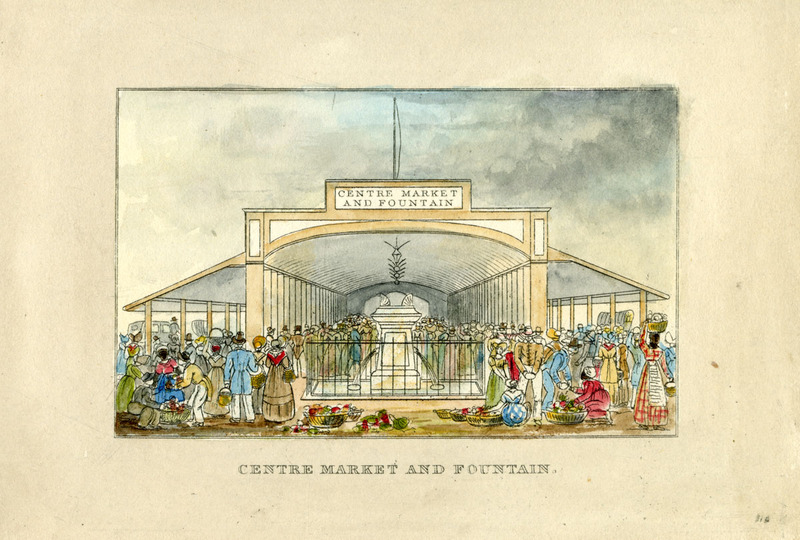 Centre Market from J.H.B. Latrobe’s Picture of Baltimore (1832). Johns Hopkins University Sheridan Libraries, F 189.B1 P53 1842 QUARTO.